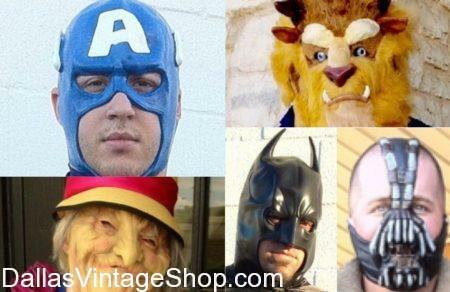 FIND the Best Cosplay Character Masks in DFW Area at Dallas Vintage Shop. We have Movie Characters, Anime Characters, Marvel Comics, DC Comics, Latex, and many more. Stop in Monday-Saturday and check out the over 100 Masks waiting for you.